The Sunshine Coast is the perfect combine of coast and country and the perfect place to relax and calm down. Australia's Sunshine Coast, just north of Brisbane is easily accessible by car, coach or plane and provides an excellent beachside destination all year round. 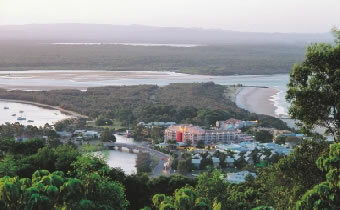 The Sunshine Coast begins at Caloundra and extends to Cooloola (Great Sandy National Park), the gateway to Fraser Island. It takes in quiet hinterland including the Blackall Range, Glass House Mountains (Glass House Mountains National Park), the Mary Valley and Noosa Hinterland (Noosa Hinterland Realty Eumundi). As a result, more than 100 kilometres of beaches stretching through the coastal towns of Kawana, Maroochydore, Mooloolaba, Caloundra, Coolum Beach, Rainbow Beach and Noosa. The best of the Sunshine Coast in one day with your own private guide. Our discreet unmarked luxury vehicle assures your privacy. With no fixed itinerary, you can decide on the departure time and also the length of time spent at any destination along the way. Some of the highlights of the day include the Glass House Mountains, Australia Zoo (if required), and the Blackall Range including the towns of Montville and Maleny famous for their arts & crafts and gorgeous cafes. From here, we wind our way through country lanes and on to the town of Eumundi, well known for its street markets on our way to Noosa - the gem of the Sunshine Coast. Here, we have time for strolling down the famous Hastings Street and find a local cafe for lunch. Noosa is well known for its' National Park and on our walk we hope to spot Koalas in the wild. Finally at the end of the day, we leave Noosa and follow the coastal highway with spectacular ocean views to Mooloolaba where we join the freeway for the run back to Brisbane. 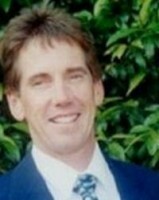 This tour takes about 9-10 hours and therefore the suggested departure time from Brisbane is 09-00.